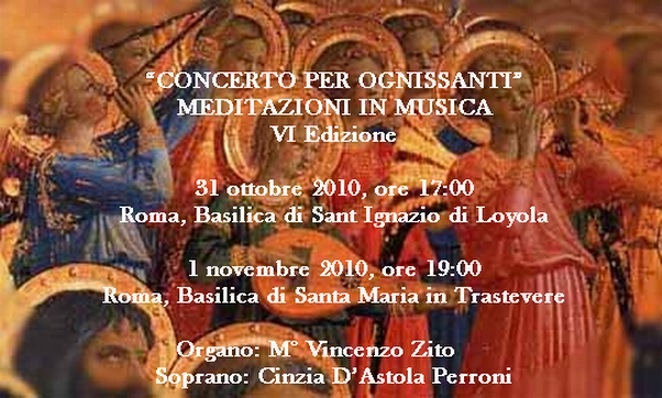 The “Concert for All Saints” created by an idea of the organ player M° Vincenzo Zito and suddenly followed by the soprano Cinzia D’Astola Perroni, is still leading us, after 6 years, trough the big repertoire of Sacred Music that is sometimes unknown but full of some of the most famous pages of music. The sound of the big historical organ played with the experience of M° V. Zito and the sparkling voice of the soprano Cinzia D’Astola Perroni are creating a deep spiritual atmosphere with an elegant touch of artistical taste. Grand Hotel de La Minerve, a 5 star Luxury Hotel in Rome, is located in one of the most fascinating squares of the city, between the Pantheon and the Church of “Santa Maria Sopra Minerva”. It offers its customers various packages like for example theThe Hammam Package which includes Welcome Drink at “Le Cupole” Bar, Accommodation for 2 people for 2 nights and continental breakfast by room service or American Buffet served in our restaurant “La Cesta”, Entrance to the Hammam “Acqua Madre” for two people, Bvlgari Wellness Kit on arrival and much more.